2019 marks UKYA’s 10th birthday. Over the past 10 years we have delivered four large scale national festivals in the East Midlands. To celebrate our birthday, we are amplifying the ‘national festival’ - more artists, more days; venues; partners; events. We are calling this the ‘UKYA City Takeover’. The UKYA City Takeover: Nottingham 2019 promises to be provocative, exciting, discerning and unique. Presenting art across borders, countries and nationalities; taking risks and opening minds. We recommend reading all of this before filling in an application form, as well as downloading our City Takeover C4E Info Pack that gives you all the facts and support you need about being involved and lays out our Terms and Conditions and some FAQs. If you still have questions after reading these information packs, you can always get in touch with the team. Contact us using the form. What are we looking for throughout your application? When applying for the UKYA City Takeover, we ask you to tell us about your practice and about the work you are submitting. This section asks you to tell us about the technical requirements of your work, as well as four questions that require some short writing. Here’s some guidance and top tips to help you with each of these sections! If you are successful in your application, the information provided in this section will be used in full or in part within printed publicity materials and on the UK Young Artists website. They may also form part of the content of press releases sent out about the City Takeover. Therefore you should be happy for the information you provide to be made public. Present a short summary of your practice… what medium do you work in? Do you have a particular method, style or technique? What influences your work? Joe Bloggs is a multimedia artist. He uses video, sound, text and installation to reconstruct fragments of memory and dream. Bloggs is interested in multisensory experiences and creating environments that can transform a space and transport his audiences. Recent exhibitions include: Abingdon Studios (solo show), Bonington Gallery (group exhibition) and BE Festival (solo show). 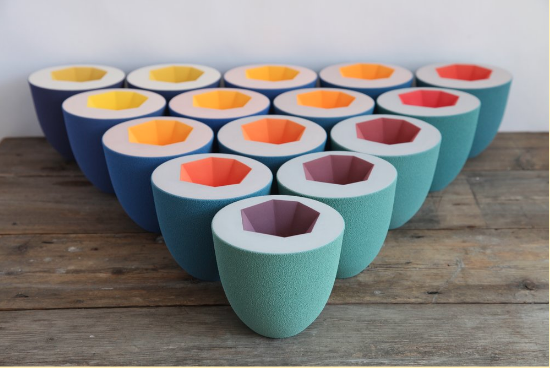 Originally from Glasgow, Joe graduated from Fine Art at Nottingham Trent University in 2014. If you are successful in your application, the information provided in this section will be used in full or in part within printed publicity materials and on the UK Young Artists website. They will also form part of the content of press releases sent out about the festival. Therefore you should be happy for the information you provide to be made public. What is the work? Be specific..if ceramics then is it stoneware etc, or painting - oil or acrylic etc? What’s different about your work? Why makes it stand out from the crowd? How might people feel when they’ve seen your work, i.e. is it uplifting, thought-provoking, funny? Try to avoid artspeak and technical jargon. This will be read by a range of audiences. Cairns is a series of three touch lamps influenced by the act of my parents who for 30 days ritualistically prepared a joth (ghee candle) and placed it on a derelict plot of land by their house within a shelter of bricks and tiles, adhocly put together from rubble found on the site. They were advised by a saint to light the joth at sundown for thirty days to ward off negative energies. This project is explicitly personal, and explores the disparity between Indian and Western rationale through an object that expresses a confluence between two cultural ideas, values and aesthetics. UKYA receives a very high volume of applications for all of its opportunities, meaning that the selection panel usually has only 1-2 minutes to look at each application. Your supporting media is the first thing that the panel will look at, and this will form most of the 1-2 minutes. You might write an excellent application that addresses all of the selection criteria, but if the panel can’t see/hear/understand what your work will look like or how it will be presented, your application will not be considered. So make sure it represents your work accurately and in the highest possible quality. UKYA has put together some guidance for providing supporting media, with tips for each format to ensure that you are putting your best foot forward. Eluned Glyn - Minimus Maximus. Image belongs to the artist. 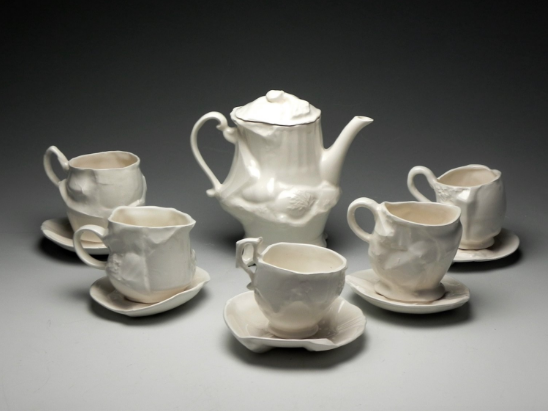 Sophie Southgate Ceramics. Image belongs to the artist. Ant Hamlyn - The Boost Project (left), Anna Garrett - Glitter. Garden. Garbage (right). Photo by David Severn. Conor Rogers - multiple works. Photo by Laura Evans. 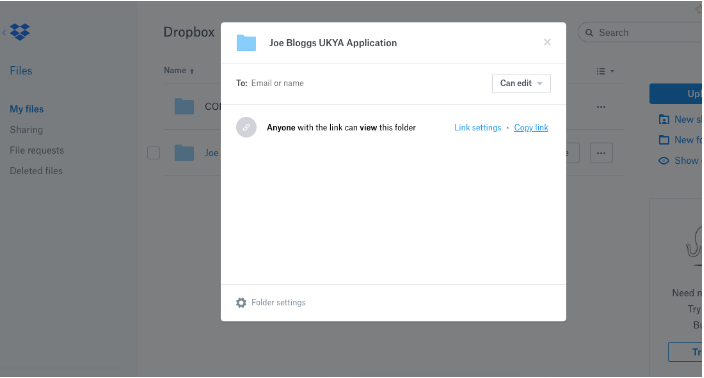 UKYA requires you to collate all supporting media, along with your CV, in a Dropbox folder and provide the link in your application. Please follow these steps to ensure that you do this correctly. Submissions with an incorrect Dropbox link can not be considered. You’re all set! Head over to the application form and submit your work for UKYA City Takeover: Nottingham 2019. For more information about UKYA and the City Takeover, check out our Call for Entries Information Pack. Thanks to the artists that have let us show their work and writing as excellent examples to put your best foot forward.